When it comes to choosing a book on cacti and succulents, how can you choose? You won’t go wrong if you start with “Cactus and Succulents-a Care Manual” by Tony and Suzanne Mace, published by Laurel Glen Publishing. This may be purchased and/or ordered at online and local bookstores. This is a must-have guide for experienced and novice cacti and succulent lovers. What I especially like about this book is that it has a wide array of information that will be very useful to gardeners of all levels. The first chapter starts with the basics, and is entitled “What Are Cacti and Succulents?” It features information on the different succulent plant families, the growth habits of cacti and succulents, and why we would want to grow them. I’m fascinated by plant folklore, and just love the chapter on myths and urban legends about cacti and succulents. Entire chapters are devoted to growing and propagating cacti and succulents. In addition, there are ones on pests and disease problems as well as how one might go about building a collection of plants. The plant directory makes up the bulk of the book with separate chapters for cacti and succulents. Within these two chapters the plants are organized alphabetically by Latin name. For each plant, you’ll find extensive information with a complete description, plant origins, history, care, and more. The authors provide step-by-step illustrated instructions of all the different phases of care these remarkable plants require. You can garden with confidence when you follow their directions. The appendix contains very useful lists of information, such as a guide to the equipment one would need and a list of different cacti and succulent organizations. It is illustrated with exquisite photos that were especially commissioned by the authors. 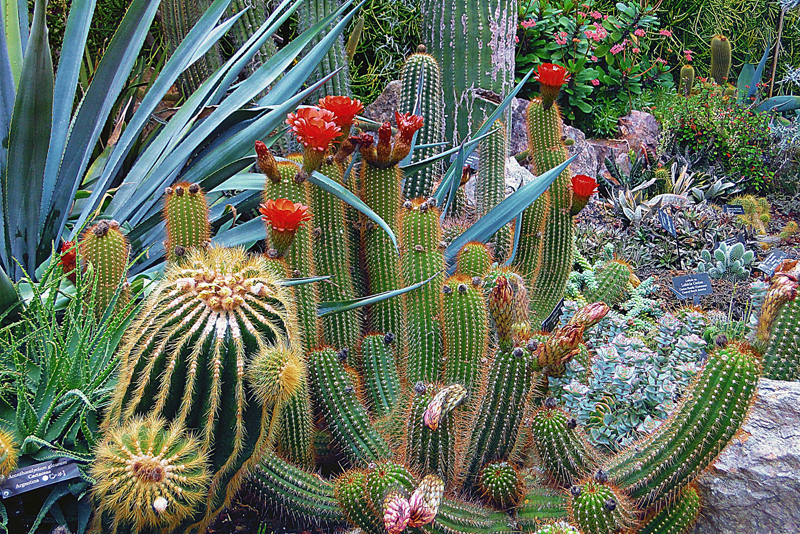 The authors’ collection of plants includes over 5000 cacti and succulents. Tony is the founder of the Cactus and Succulent Plant Mall on the Internet. He has been elected a member of the International Organization for Succulent Plant Study. Suzanne has been a qualified judge of cacti and succulents for over 25 years, and is a well-known speaker on the subject. She is editor of the Mesemb Study Group, founded in 1985.